It’s after midnight, and you wake up to your cat meowing. This scenario presents a couple of complications: 1) your cat’s indicating she has needs that aren’t being met and 2) you’re losing precious sleep. What to do? Thankfully, there are a few possible solutions, but let’s first look at some reasons for cat meowing at night. Why is your cat meowing at night? Is your cat meowing at night? We’ve got some reasons why — and some ideas on how to stop it! Photography ©innovatedcaptures | iStock / Getty Images Plus. Cats are known to sleep for extended periods of time but can be active when they’re not sawing logs. If your cat vocalizes at night while you’re sleeping, consider these reasons for your cat meowing at night. Changing residences can cause anxiety, which may present itself as a cat whining or a cat meowing at night. Kitty is bored and wants you to wake up and play with her. Hunger or thirst are afoot, and your cat is sounding the alarm. An older cat may be experiencing dementia and her meows are based in confusion. There’s a health-related cause for your cat meowing at night. A newly adopted kitten might feel scared in her new environment. A newly adopted older cat may feel lonely because she’s used to the company of other cats at the shelter — especially if she had bonded with a particular friend. She’s disturbed by something she sees outside — likely another cat. Visit a veterinary professional to rule out any medical reasons that could be behind a cat meowing at night. As cats age, they’re prone to developing thyroid or kidney diseases, which might result in meowing a lot. Because moving can be an exceptionally stressful time for pets, Brent Bilhartz of LazyPaw Animal Hospitals says, “Moving tends to throw daily schedules upside down, but keep your pet’s routine as similar to normal as possible. Stick with feeding schedules, and make time for play and affection. Even a few minutes every day can make your pet feel safe, loved and calm.” A cat who feels safe and secure is less likely to anxiously meow at night. If cats aren’t active during the day, they might want to burn off that energy at night. One way to help the burn — and your likelihood of a good night’s sleep — is to give kitty a good workout before bed. Using wand toys that make her jump or playing chase with a ball are excellent ways to release some of the cat zoomies that are keeping you awake. It’s also a good idea to feed your cat and provide fresh water right before you go to bed. Even humans sleep well with a full belly! 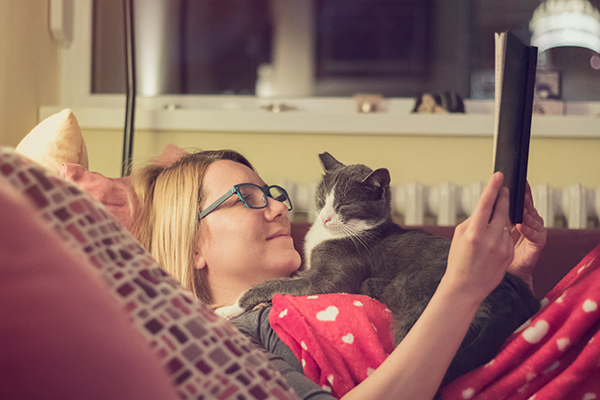 Cats who suffer from anxiety may need extra assurance and attention from you, especially at bedtime. Bring your cat into the bedroom with you, and even move her bed near yours. Some cats like having a blanket or towel on their human’s bed — oftentimes they like to sleep right next to their person. 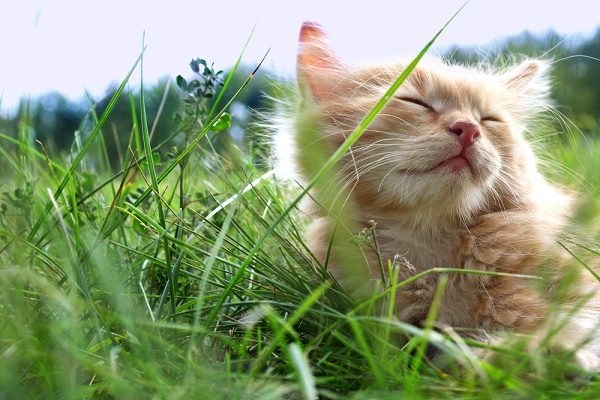 Showing extra comfort and security can help an anxious or confused cat feel more relaxed and less likely to meow. Newly adopted kittens may meow out of loneliness. Again, playtime before bed is a way to let the baby burn off energy and also bond with you. If you’re up for it, take the kitten to bed with you at night. The comfort of sleeping with you might calm her down and give you a fighting chance at sleep. Remember, though, a new kitten is a baby, and it may take a few nights for her to settle into her new routine and surroundings. If you find the meowing is directed at activity happening outside the house, simply closing the blinds or curtains might be an easy solution. It is possible to get a good night’s sleep when you share your home with a vocal cat. If you’ve tried our suggestions and are still losing sleep due to a cat meowing at night, it’s best to follow up with your vet and perhaps consult a behaviorist. Thumbnail: Photography ©IvanJekic | E+ / Getty Images. 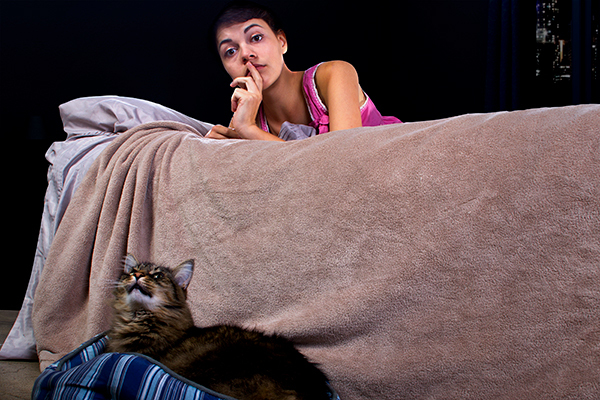 Tell us: Is your cat meowing at night? Have you been able to stop this behavior? What are your tips and tricks? What my cat does doesn’t seem to fit any of this. Since I took her off the streets about five years ago, on random nights just after I go to bed, she goes to the living room and ‘sings’. It’s nothing like her meows for food or attention, just long singing notes. She’ll sometimes sing several songs. She is never allowed outside, has food and water. Before and after, she might wander in to say hi to me but never seems to want anything. I don’t get up when she does it, just wait for her to finish her performance, but she’s been doing this for about five years, in two different residences. Any idea why I get a concert? Our 17yo cat had been making our nights miserable for several months… He woke us up practically every night at 2 or 3 am and just couldn’t figure out what the problem was. Visits to the vet were useless and we had to resort to sleeping pills and ear plugs! One day i realized his ears needed cleaning. I cleaned them well but just a day after, they were as dirty as the day before….. So i bought an ear cleaning solution and started cleaning his ears on a daily basis. His night cries stopped completely…. It seems he had an ear mite infestation and somehow they were making him uncomfortable at night! If only cats could talk! Hi, try cat music for ur cat on utube.com & get new ball w/bell & catnip. On doctors orders for stress the cat could be a support animal. The new kitty would be supporting you by supporting your other cat. Maybe? I’d adopt a second kitty. Service kitty note from Dr. is a good idea. I’m sure they would both be only inside kitties anyway. ???? I adopted a congenitally deaf cat but this might also be helpful for people with older cats whose hearing might not be as good as it used to be (you can test it by being in back of your cat when s/he’s not looking at you, and clap your hands). For the first three nights, he meowed very loudly, non-stop, from the time I went to bed until the time I got up. I tried playing with him right before bed, putting out more food, and nothing worked. Then the third morning, I noticed it wasn’t me getting up, it was the sun coming up. So I got nightlights and put one in each room. That stopped his nocturnal howling. My cat recently got out while we were out of town and now that he’s inside, he meows all night and wants to go back outside. Do we just have to wait it out, or is there a way to discourage him from wanting to go outside? Interested in hearing this answer as well, similarly our cat escaped a few months ago and came back recently and know we sort of have an inside outside cat. I promise they’ll eventually stop. Key word is eventually. We used to let our cat outside at night due to her insistence, but when she went missing for over a week, my husband said no more. She clamored and cried to be let back out but we stood firm. She now is ok with being inside at night. This happened to me several years ago. Mine slept in the window & somehow pushed the screen out. Was frolicking for 8 hrs while I was at work. Meowed her head off wanting to go back out. I didn’t want her to be an outside cat, so I chose not to harness or leash her. I just kept the windows closed for a week or two and she eventually stopped. Ok , Before i go to sleep or I’m half way asleep. I hear my cat, she is a one eyed cat which every or most nights she will make this sound which sounds like her talking or trying to mew at the same time and note that she is the runt of the family SO. . . She doesn’t like going outside (Ect. . .) but you get the point she makes this meowing noises and i can be very very annoying. . .
My somewhat newly adopted senior cat (13) almost consistently wakes me up at 6am. He’s not hungry or thirsty as food and water are always available. Can’t be health problems since he rarely makes noise during the day. I’ve laid out catnip and treats at night along with all his toys to keep him occupied but he still complains. I think he’s lonely and bored since he’s really attached to me but I’m a light sleeper and don’t want him in my bed waking me up with his movements. I might just have to get earplugs which I hate. Would the shirt or diffuser thing work for such an old cat? Sue, I couldn’t relate to you more with your cat! Mine also has been meowing at 6am for about a week. Right on schedule every day. In wake up at 6:50 so it really disturbs my sleep. In the past when he did this I would give him cat nip or treats before bed and he likes to chase marbles so we did that for 5 min before bed. I also ignore him when he meows. If you respond to their meow good or bad they know it gets your attention so it becomes a routine. So ignoring him, eventually they will realize the meow isn’t doing much. We also recently have been using lavender essential oils in a diffuser at night and it was working so well until we ran out. So could be why mine is acting up again. Just make sure you don’t use essential oils that can harm the cat! Lavender is safe and hs been working for us. Good luck!! Essential oils are harmful to cats. Please don’t use them on or around them. actually my vet uses essential oils in treating my cat and it works quite well. Some essential oils are harmful but not all of them. I have a blind 14 yr old male. He cries day and night when he is not sure where I am, but he knows the house well. If he cries at night I just call him and he comes to the bed to cuddle and then leaves later to find his bed to sleep. He doesn’t like to sleep with me long because I move around to much. He used to love bite my arm when I moved during the night like saying “please stay still, I am trying to sleep.” He eventually just moved over to the bedroom chair to sleep. It works well to both of us. My cat at work started every night ther past week meowing non stop pacing from door to door i have to lock her outta my room at night because she won’t stop. She’s fine during the day. We adopted a senior rescue cat who was surrendered at a shelter. 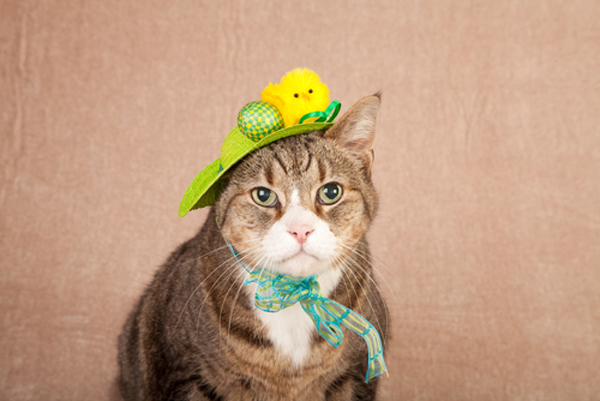 It’s especially sad since he was clearly very bonded to another cat in his original home. He’s tried to bond with our other cat, who wants none of it. The newly-adopted kitty really can yell at night. He’s had a vet check him over. We’ve had to install a baby gate to keep him away from our bedroom door. Omg mine too! I’m so tired and he just won’t shut up! He’s also a raggie (6 years old) and I have no idea what to do. He meows allllll night. But he’s healthy!!! Even after feeding him he still meows…. 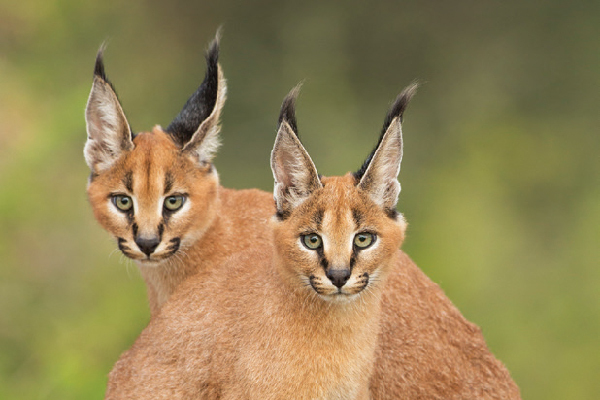 This might add more insight into why your cat is meowing. Best of luck! Calming collar, plug in calming vapors..at your pet store….does wonders..
My 2 month old kitten is meowing I just adopted her yesterday it’s currently 5:00 IN THE MORNING!!! Best of luck and congrats on your new cat! 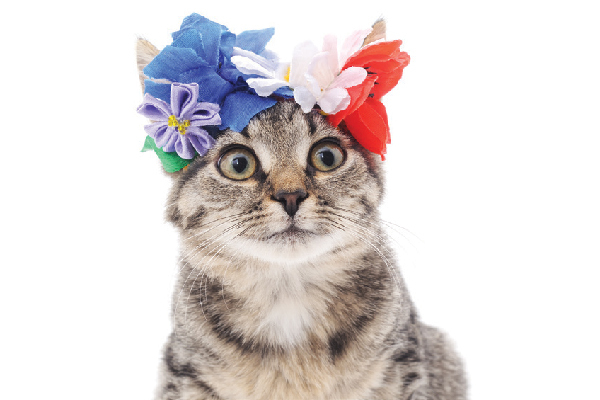 We suggest talking to your vet — something like dementia might be at play since your cat is older. I have a small cat bed at the foot of my bed. Kitty will sleep there once I’m settled in, so there is no “meowing” at night. My husband doesn’t want our cat to sleep with us because of his allergies. I put her bed in the open doorway at bedtime. I used a clicker to train her to jump in by putting in a treat. She jumps in and gets a click and a treat. Two nights later she is happy to jump in at bedtime and does not come into the bedroom. My senior cat (12) has been carrying her babies (6 or 7 stuffed mousies) around for several years now, meowing as she does it. Day and Night. We prefer to think of the mousies as babies for show and tell, but they may be “kills”, rewards to her favourite human, or just plain attention seekers. Good to know she is not crazy compared to others. I too have (had) a meowing cat at night For all the reasons suggested in your article. Finally I had to put him in his own room with the door closed – at least I got a good night’s sleep. Then he got used to not meowing and I could leave him outside our bedroom and finally I got the pheromone product and that really helped with the meowing to the point where he only meows when he wants food or to go out. Roscoe was an unhappy cat when he came to us so I had to have a lot of patience with him. Now it he bothers me when I am sleeping I just say let mommy sleep some more and he goes away until I am awake. We have a great relationship now. I have an elderly Siamese who has some kidney disfunction (getting infusions for that) and he has become a bit disoriented, especially at night. I think some of it is because he doesn’t see as well as he used to and when the house gets dark he feels lost. He is a very vocal cat anyway, so he sounds off at night after we are in bed. I just call back at him and mimic some of his vocalizations and he shows up on the bed quickly and is full of purrs, and settles in for the night. My two cats meow at night because they either want to snuggle or because they have brought me their ‘kill’ (one of their stuffed toys) and want to show it off. Cats are nocturnal. Speaking from tons of experience, letting them outside in a safe catio will often cure the nighttime meowing.